Hi Everyone! Welcome to my blog! I hope you are doing well! And what about your hair?? Are they healthy and shiny? Do you want to promote their growth and make them look fuller and voluminous? Then you are at the perfect platform, this post is for you!! Today I am sharing a very very easy and effectual method of increasing hair growth with you all. Now if you ask me where I learnt this from? The answer is simple: “Internet”! Most of the tutorials and DIYs I share on my blog are told to me by my Maternal Grandmother and few of them, I learn from various websites. The core ingredient of our magical hair growth recipe is chili!! Yes! You read it right.. Its chili..
Don’t worry.. I will clear all your doubts and fears. 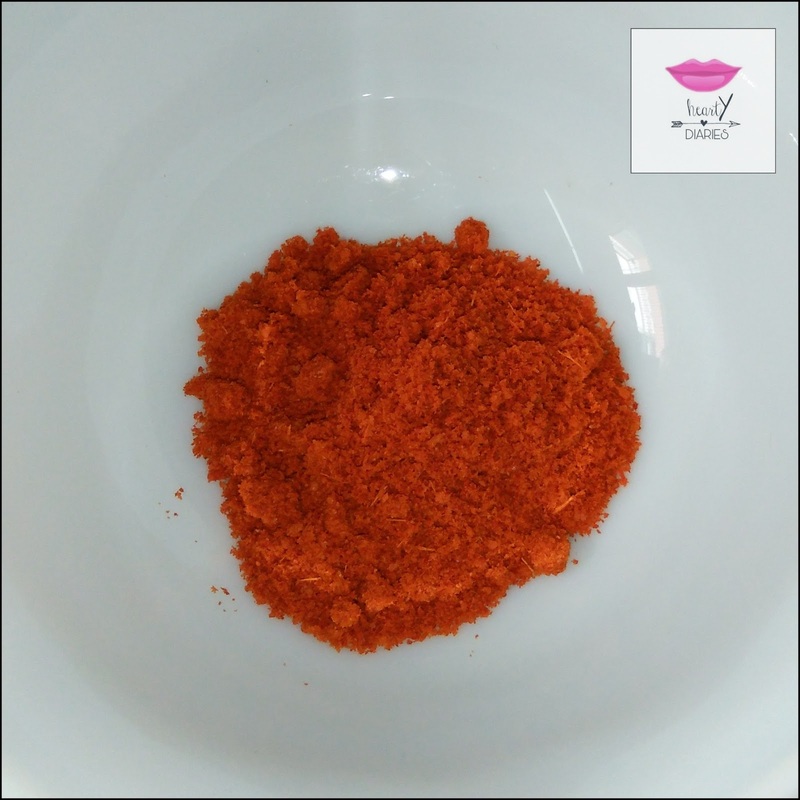 The tutorial I saw on the internet had Cayenne Pepper as the main ingredient but its not easily available in India, so I decided to go for chilly and thankfully, my take on this magical method worked.. This ratio will make the oil for one use if applied to full hair having medium length. You may adjust the ratios as per your requirement. 1. 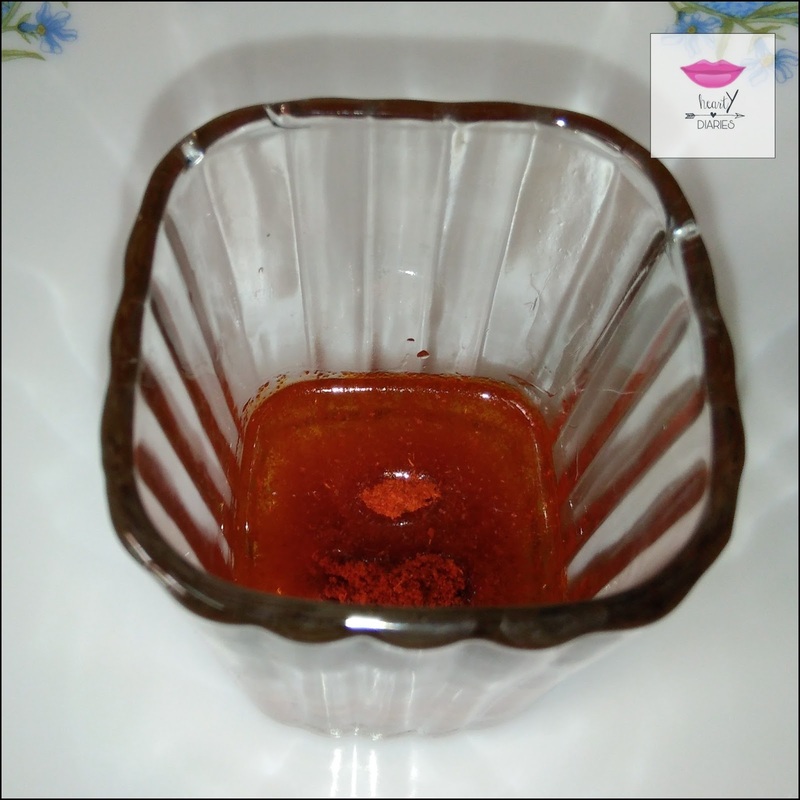 Take 1/4th cup coconut or olive oil and add one teaspoon Organic Cayenne Pepper or Red Chili Powder in it. I am using crude coconut oil here. 3. 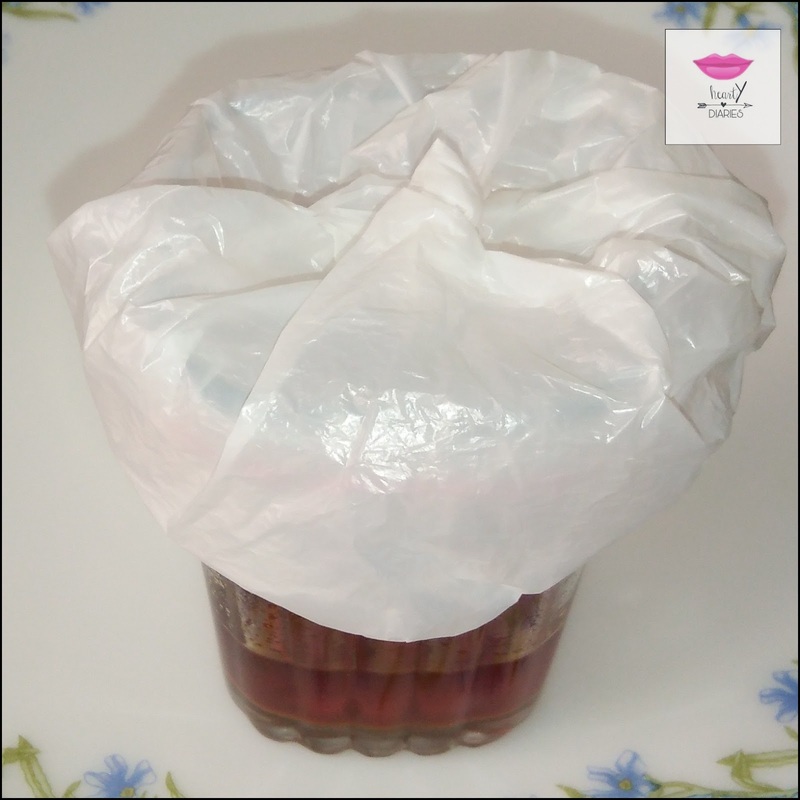 Cling wrap it or cover it with a normal plastic bag or cover with a tight lid and keep in a dark place for atleast two weeks to let the chili sit and the oil get infused. I let it get infused for 21 days. 4. 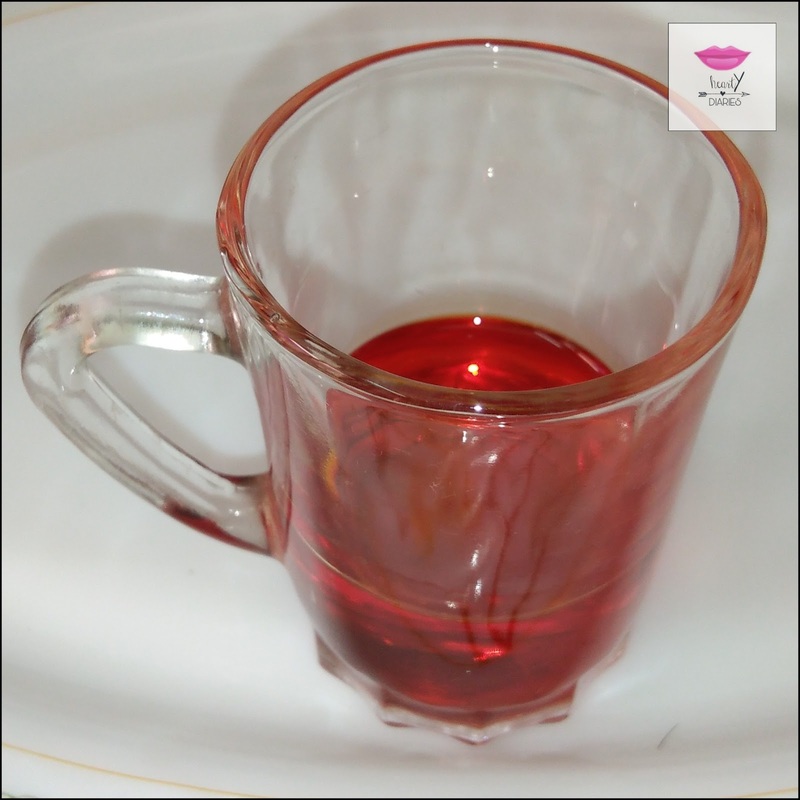 After the infusion, the oil will look like this. The chili would have been set at the bottom. 5. Strain the infused oil. 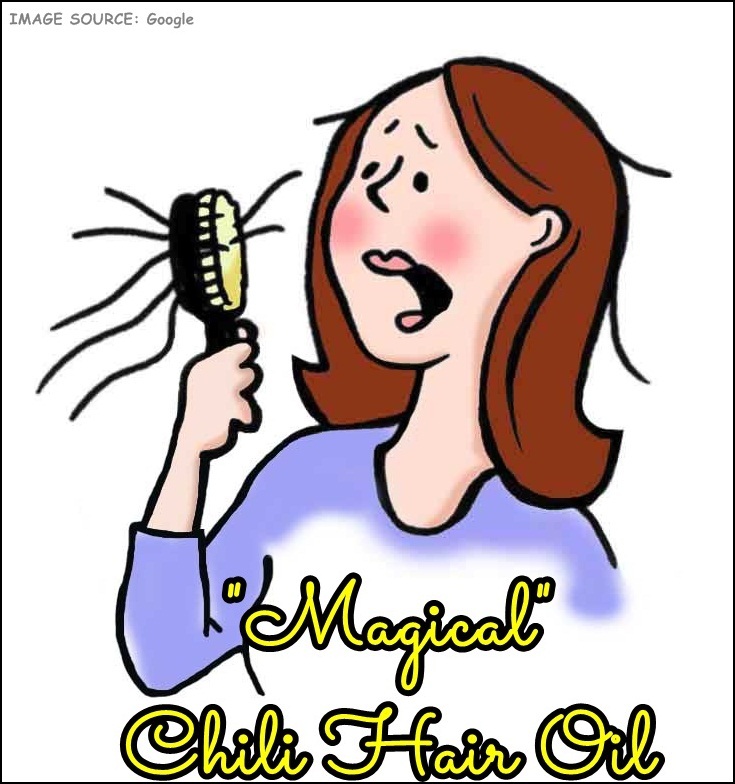 Your magical hair oil is ready! You may apply this left over chili if you can bear it or throw it.. 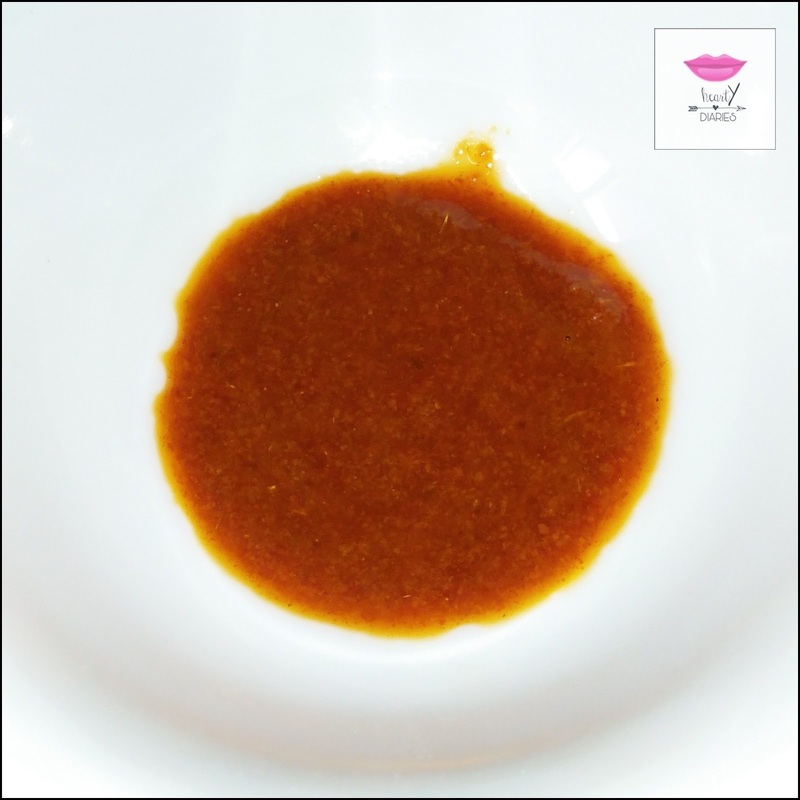 Tip #1: Do not use the oil straightforward after mixing it with chili. Give it sometime to get infused to get effective results. 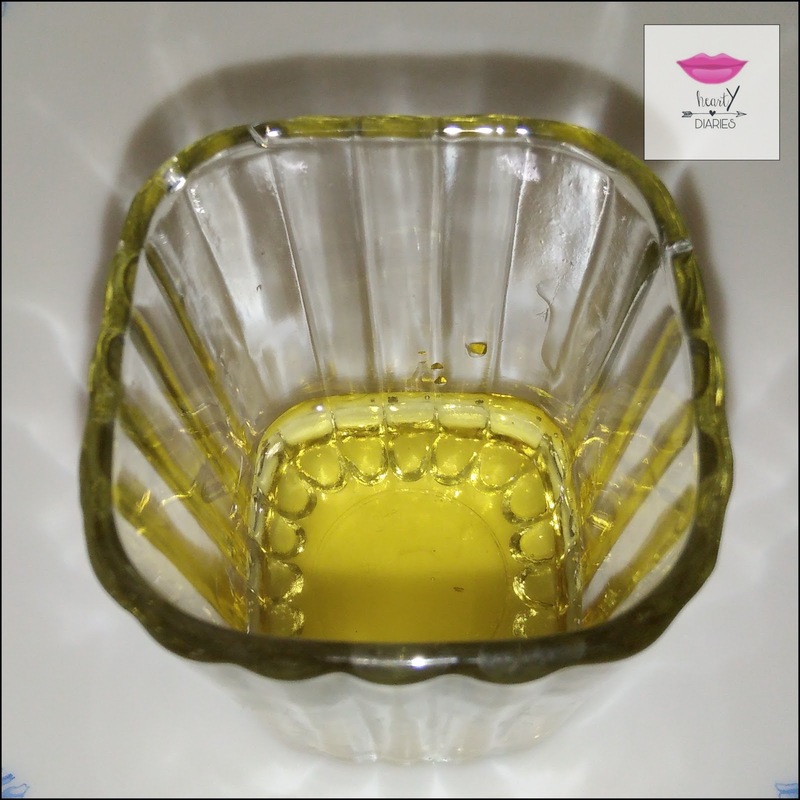 Storage: You can store this oil for six months in a regular oil bottle or an air tight container. Benefits: This hair oil will promote hair growth and make them healthier, stronger and thicker. Frequency of applying this oil? 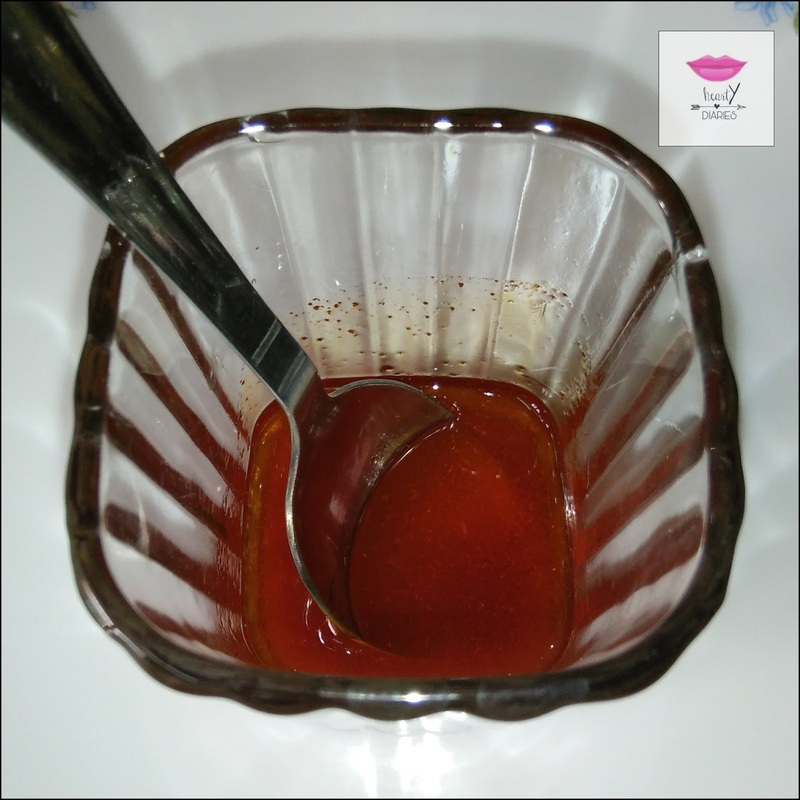 For good results, apply this hair oil at least thrice a week for one to four hours depending on your tolerance. You will notice an effective magical hair growth within seven days. I know this is what you’ve been reading this post for! You’re scared by the thought of applying chili to your hair. Don’t worry. It is a completely safe method and will have no side effect or problem for you. You might feel a little itchiness or tingling sensation in your scalp which is actually a very good thing. Chili actually makes your scalp irritated due to which blood circulation is increased thus promoting hair growth. If I define the actual feeling I get when I apply this oil, I have to say it feels like applying bleach to your face (the normal feeling, not the burning side effect sensation). Kindly do not consider this post as a substitute for medical advice. 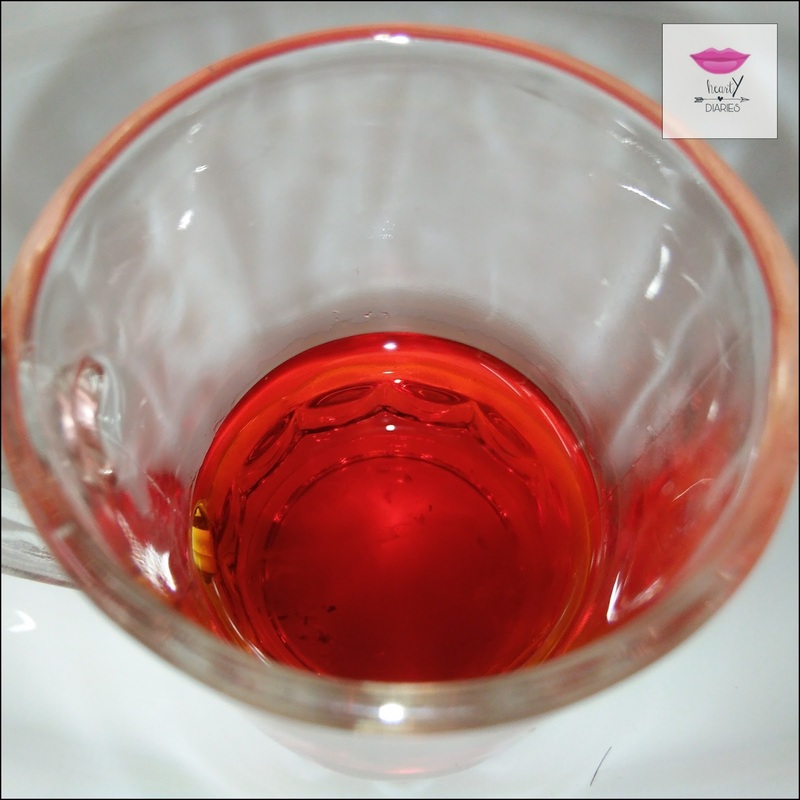 Do a patch test before applying this oil and consult your doctor if you have any doubts or treatment going on. Do not apply this oil if you have eczema or any scalp infections or feel intolerable burning sensations. A little tingling sensation, however, is completely okay and normal. Tip #2: I suggest you use Coconut Oil as it is the best oil for promoting hair growth, providing nourishment to hair and increasing the hair elasticity. Update (15 June, 2017): My DIY Magical Hair Oil just appeared on an amazing e-magazine SocialMela, a perfect blend of traditional, folk & modern products & merchandise..
Hope this works for you…. Woah. This sounds so cool. Next time I go to the store I'll have to pick everything up to do it!!! Yeah.. Go for it. All the best.. 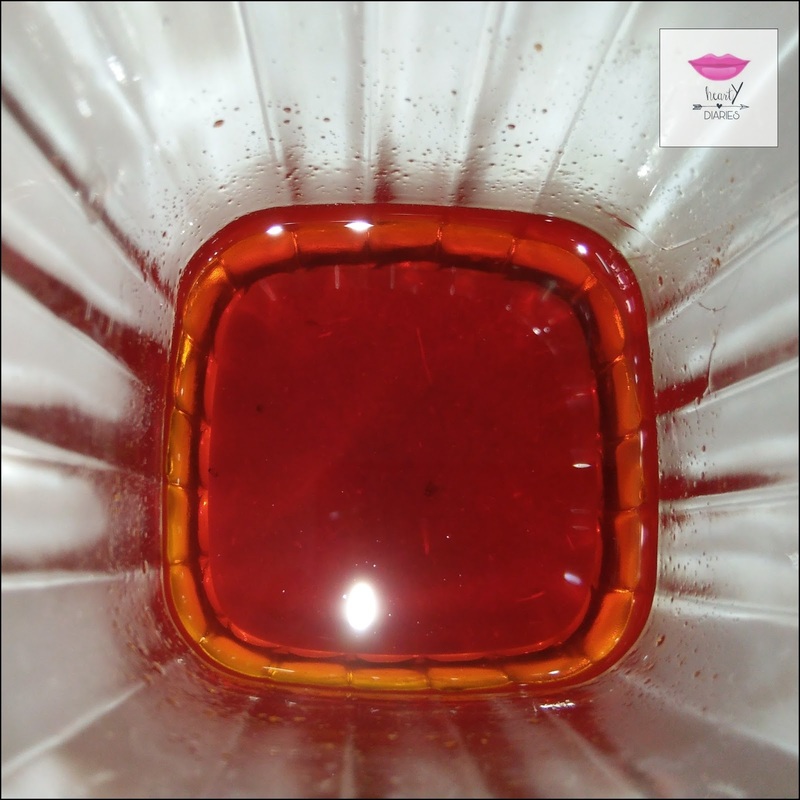 I'm already in love with this oil….